Ready for action? 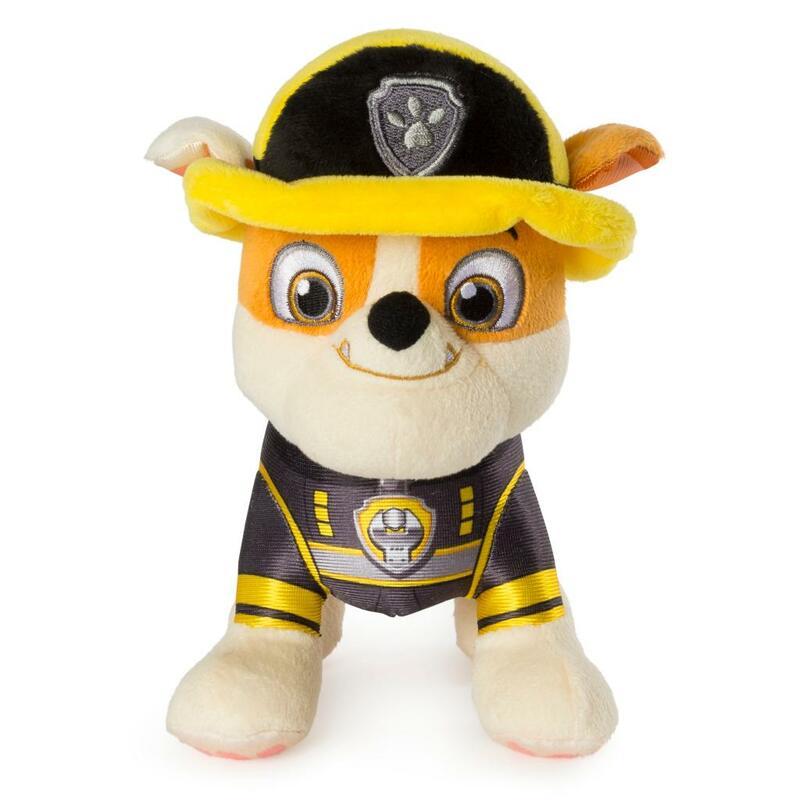 Nap time, playtime, anytime is more adventurous with Ultimate Rescue Rubble Standing at 8” tall, this pup is the ideal pal for little PAW Patrol fans. Small enough to carry and soft enough to cuddle, Rubble has on his Ultimate Rescue uniform. With his signature badge and realistic uniform detailing, this pup brings all the excitement of the hit TV show to life! Rubble even sports an Ultimate Rescue hat, made of plush fabric, perfect for snuggling. 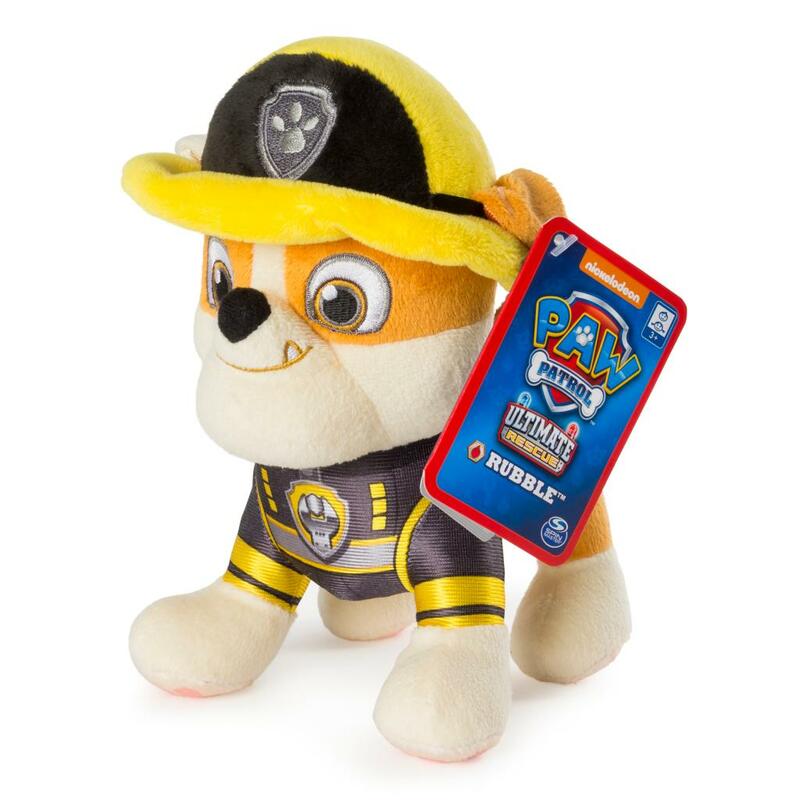 Give the little PAW Patrol fan in your life a plush pal they can carry everywhere they go with Ultimate Rescue Rubble! 8” STANDING PLUSH: Ultimate Rescue Rubble is on the case! This plush, 8” tall pup stands on all fours and is ready for action! 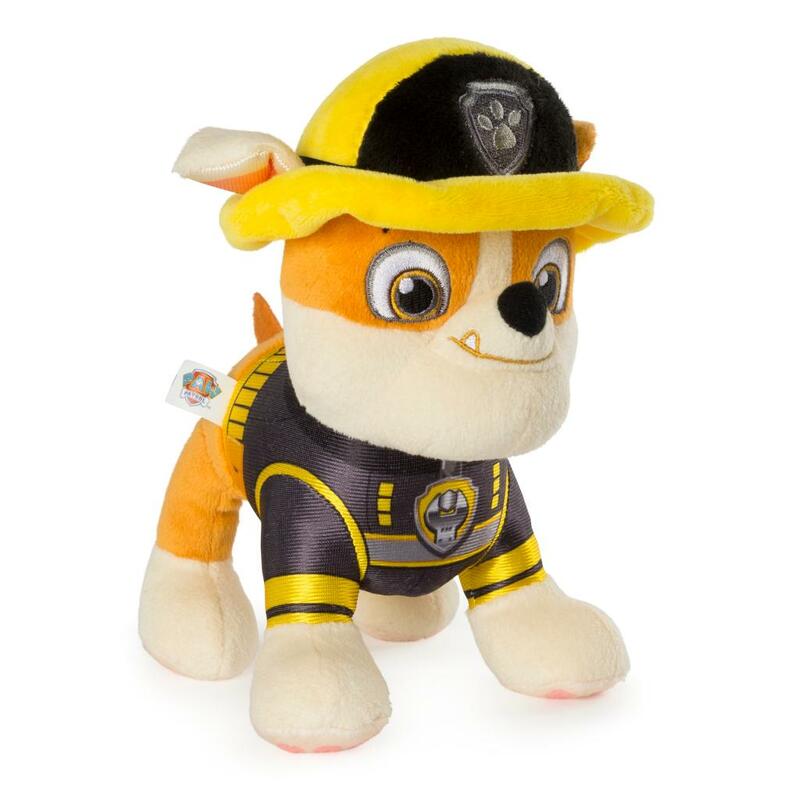 He’s the perfect pal for any PAW Patrol fan! SNUGGLY MATERIAL: Rubble is dressed for adventure! He has on his Ultimate Rescue uniform, complete with realistic detailing, and a hat made of soft, snuggly material. 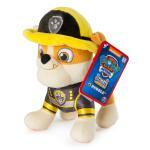 PLAYTIME PAL: Ultimate Rescue Rubble captures the big personality of the PAW Patrol’s beloved pup. Whether it’s playtime or naptime, this pup is ready for cuddles and snuggles! Ultimate Rescue Rubble is a plush toy for kids aged 3+. 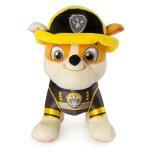 Add all of the Ultimate Rescue pups to your PAW Patrol collection!